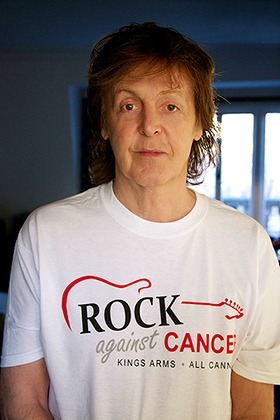 Three of Britain’s biggest rock stars – Sir Paul McCartney, Brian May and Sir Bob Geldof – are backing a ‘Rock Against Cancer’ concert at a pub in a tiny village in the UK. The legends are helping to promote the concert at The Kings Arms in the hideaway hamlet of All Cannings, near Devizes in Wiltshire, on Saturday May 31st. 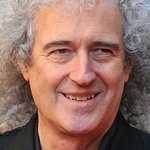 Sir Paul and Queen guitarist Brian May are leading a social media campaign to raise awareness of the cancer charity event. Live Aid leader Sir Bob is fronting the reformed Boomtown Rats to headline the ‘Concert At The Kings’ show in the village that has a population of only 630. ‘Rock Against Cancer’ was an idea thought up by three residents of All Cannings who have each fought with cancer – pub landlord Richard Baulu, sound engineer John ‘Grubby’ Callis and the village’s own local hero, Andy Scott, guitarist with Seventies chart-toppers The Sweet. They launched the annual event two years ago. Artists including Jeff Beck, Brian May, Roger Taylor, Mike & The Mechanics, Midge Ure and Tom Robinson have performed and help raise more than £35,000 for cancer charities. 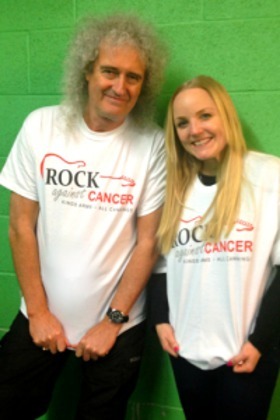 This year the organisers are aiming to raise the profile of the little-known gig by asking stars to help a social media campaign by posing in ‘Rock Against Cancer’ T-shirts – and first to respond were Sir Paul, Brian May and actress-singer Kerry Ellis, star of The Queen musical ‘We Will Rock You’. Five bands playing hits covering 30 years of rock will perform at this year’s event, staged in a field adjoining the Kings Arms beer garden – The Boomtown Rats, Steve Harley & Cockney Rebel, The Troggs, Paul Young’s Los Pacaminos and Dire Straits spin-off The Straits. Money raised from the gig will go to Macmillan Cancer Support and the Bristol hospital oncology support charity Above and Beyond.